During its meeting of March 25, 2014, Belgian shipping company CMB’s board of directors approved the final annual accounts as per December 31, 2013. The consolidated result for 2013 amounts to $49,694,000, compared to $133,954,000 in 2012. Bocimar’s contribution to the 2013 consolidated result amounts to $3,467,000 ($53,196,000 in 2012). CMB pointed out that the capacity of newbuilding deliveries has far exceeded the growth in world seaborne trade for a number of years. Today, however, a discernable fundamental trend change has emerged which will bring supply and demand back to a more sustainable balance over the next two years. In most segments of the dry bulk market - allowing for normal slippage, cancellations and deletions – the net increase is expected to hover around 5% which is a sharp reduction compared to the last five years. 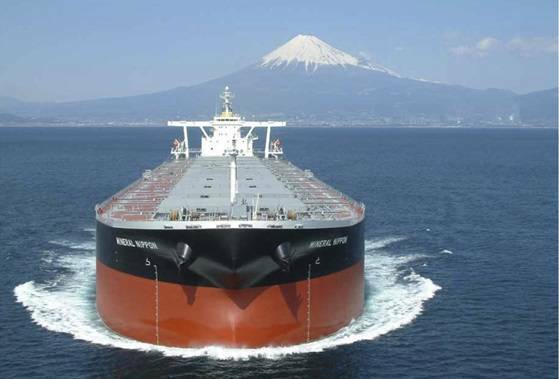 This development will also have an impact on the fleet’s market value that already increased by 20% during 2013 and showed a further increase of 5% in the first months of 2014. On the demand side there are also numerous positive indicators, such as the renewed growth in global steel demand as well as an increase in demand for steaming coal. The most important indicator, CMB said, is the increased availability of new cargo which should increase fleet utilization. A number of new iron ore mining expansion projects which have suffered delays or downsizing, are now being delivered. On the other hand, the dry bulk markets will be more volatile than ever. Amongst others, weather factors, congestion and erratic FFA markets will lead to sudden spikes and falls in the freight markets, especially in the Cape and Panamax segments. Taking into account the current developments in the dry bulk markets, the group carefully reviewed all indicators of potential impairment such as the current freight rate environment as well as the current market value of the fleet compared to its carrying amount. The impairment test performed in respect of the Bocimar fleet, was performed on the same basis as described in the 2012 consolidated accounts. The test did not result in any need to record an impairment loss. The group will however continue to closely monitor the developments in the dry bulk markets and review possible impairment indicators again at the occasion of the preparation of the consolidated accounts as per June 30, 2014. The board of directors will propose to the annual general meeting of shareholders of May 13, 2014 the distribution of a gross dividend of EUR 0.24 per share (EUR 0.18 net per share). Subject to the approval of the annual general shareholders’ meeting, this dividend will bemade payable on May 23, 2014.